Healthy, luxurious hair is a goal for many. Almond oil usage for hair growth has a rich, deep history and has been a time honored natural herbal remedy. Almond oil is a carrier oil. When mixed with an essential oil, such as sandalwood or castor oil, it can promote hair growth and prevent hair loss. The first evidence of the use of almond oil to promote hair growth comes from ancient Egypt. Almond oil was routinely mixed with castor oil to improve upon the castor's texture and smell. The mixture was then applied to the scalp through massage and left on for a specific amount of time. This mixture was said to grow hair faster and cure baldness. Egyptians were obsessed with physical appearance. They noticed that almond oil provided hair with a bright sheen and silky texture as well. Almond oil remedies for hair growth still exist in today's society. There are a large number of recipes touting almond oil's abilities to grow and maintain healthy hair. Recipes combine almond oil with egg yolk, lavender oil and jojoba in the neverending fight against hair loss. Applying these mixtures and massaging them into the scalp is said to stimulate the hair follicles; the vegetable and herbs provide nutrients to the hair shaft, promoting growth. Almonds have been long known for being an excellent source of protein, the theory follows that since the hair is made of primarily protein, almond oil adds to hair's natural growth pattern. The ancient Egyptian remedy using castor and almond oils is still in use today despite the tarry consistency of castor oil. Mixing equal parts of the two oils and applying it to the scalp can provide the help that some desire when regrowing their mane. Massage the oil into the scalp and leave on for 15 minutes. Wash the hair with a mild shampoo and towel dry. Another recipe mixes four to 10 drops of jojoba oil with one ounce of almond oil and one egg yolk. Mix well and add warm water--the water should not be too hot to avoid cooking the egg yolk. Wash your hair thoroughly and apply to a the scalp and hair while the hair is still wet. Leave on the hair for 15 to 30 minutes and then rinse. You may shampoo again if you wish, but it is not necessary. Many people are turning to holistic methods of healing and treatment to avoid complication due to synthetic chemically manufactured medications. Long term effects of such medications such as minoxidil, found in the popular hair regrowth product Rogaine, are unknown. Holistic healing promises to be all natural and safe when it comes to all ailments including hair loss. If you are allergic to nuts, however, almond oil has should be avoided. The only evident attribute that supports almond oil's ability to grow hair is the fact that almond is a good source of protein, which is essential to hair growth and health. However, no studies support its use as an aid to grow hair. Almond oil accompanied by massage of the scalp can stimulate blood flow bringing oxygen to the hair follicle. This in turn may promote growth. Almond oil certainly provides shinier hair and regular use of almond oil in hair treatments can provide a natural deep conditioning without chemicals. Which Brush Bristles Are Best for Stimulating Hair Growth? 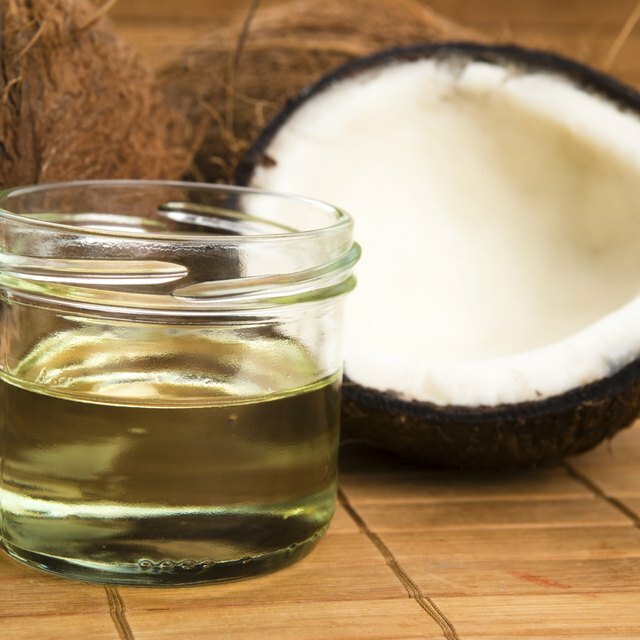 Can Coconut Oil Promote Hair Growth?